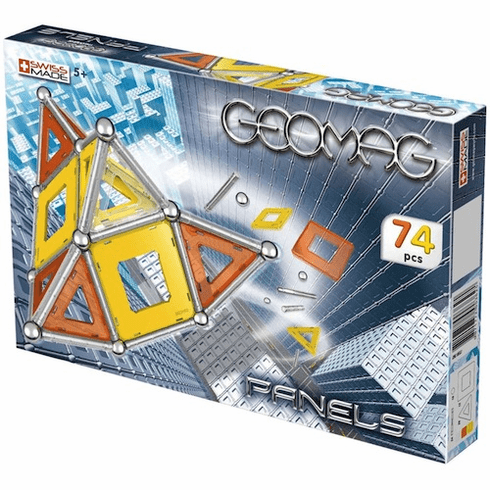 Geomag Kids, known for its Swiss-made quality and safety, is an inventive system of simple construction that stimulates creativity. A huge number of shapes, geometric figures and models of every kind can be constructed. A fun and imaginative activity for the whole family. Includes 24 magnetic rods, 18 chromed steel spheres, 12 square panels and 20 triangular panels. Panel colors include: orange, yellow and white. All components manufactured to stringent European and American safety standards.